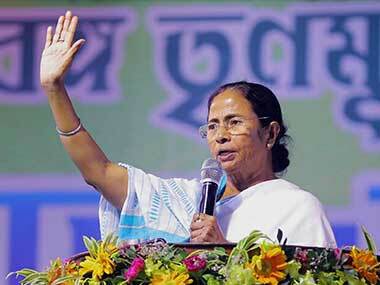 West Bengal chief minister Mamata Banerjee’s moves to contest BJP’s monopoly over Lord Ram appear to have backfired. Visits to recently riot-hit areas, both industrial and rural, indicate that Mamata’s latest maneuvers have divided her Muslim and Hindu support base, alienated some of them and communalised the factional feuds in her party, Trinamool Congress (TMC) at the ground level. Unlike BJP, which is openly playing its Hindu hyper-nationalist card and leaving no stone unturned to whip up anti-Muslim sentiments among Hindus in Bengal and elsewhere, secular nationalists à la Rahul Gandhi, Akhilesh Yadav and Mamata constantly need to balance between the majority and minority community perceptions about them. In his effort to outsmart the Sangh Parivar at its own game, Rahul has resorted to soft Hindutva tactics from Gujarat to Karnataka largely by visiting temples while ignoring Muslims in his public discourse against BJP. But Mamata cannot afford such high profile temple-hopping after having aggressively wooed the conservatives in the minority community that comprise more than 27 percent of the state population and which have been providing her solid electoral support since 2011. On the other hand, she can’t ignore the growing impact of BJP among Hindus, particularly in industrial-urban and bordering areas, which are more vulnerable to anti-Muslim hate campaigns. 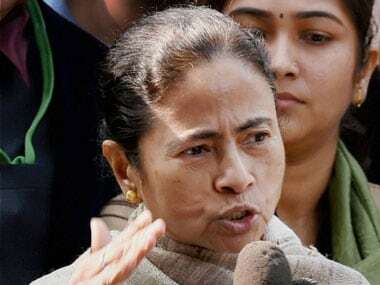 So, she asked TMC men to hijack Ram Navami and Hanuman Jayanti processions from BJP-VHP and play greater Ram bhakts with the hope of poaching the saffron support base or winning the fence-sitters, particularly among Hindi-speaking people before next year's Lok Sabha polls. But tightrope walking needs practiced skill, controlled body and mind, as well as firm props. Else, the player is bound to fall and sustain injuries which can be fatal. Evidently, Bengal’s prima donna of street politics has suffered not only due to absence of a disciplined organisation such as the RSS or CPM, but also because of her misjudgment of ground reality. Apart from legitimising BJP brand of politics, she allowed the Sangh to fish the closet Hindutva men and women within her party and larger social catchment. The spate of recent riots have increased communal polarisation and replaced the traditional political rivalries. 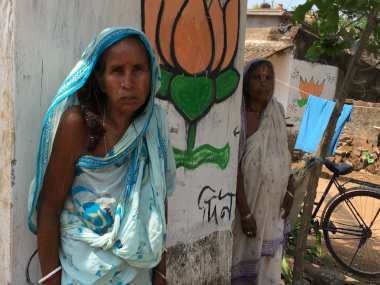 There is no dearth of communal elements, both Hindus and Muslims, in her camp. Preachers of Islamic orthodoxy are also spreading their wings among Muslims, both Bengali and Urdu-speaking. Encouraged by Mamata’s covert support to apologists for Bangladeshi Jamat-e-Islami leaders who have been facing charges of war crimes for collaborating with Pakistani Army in 1971 as well as her open support to the chauvinist All India Muslim Personal Law Board (AIMPLB) on triple talaq, Wahabi-Salafi puritans are mounting attacks on Sufi and other syncretic traditions in rural Bengal. Although Left and Congress are main losers of these dragnets of competitive communalism, widening holes in Didi’s reservoirs are unmistakable. In riot-hit Asansol, some Hindu TMC leaders, both Hindi and Bengali-speaking, accused their own government of being ‘brazenly pro-Muslim’ while pointing to communal divide in the party. According to the men close to Bunty Chakorborty, a local TMC apparatchik in Chandmari at Rail Par area which was worst-hit in the recent flare up, they were part of Durga Puja and Ram Navami celebration for many years. This year, party high-ups asked them to bring out a bigger Ram rally. Local TMC civic councilor CK Reshma, one of the elected members of BJP who crossed the floor and Chakroborty were among the party leaders who walked along the BJP-VHP men. They were told that some Muslim TMC councilors in adjoining areas would distribute sherbet to Ram bhakts to mark the communal amity. However, the procession faced a hostile Muslim mob on its way which asked them to go mute. The rallyists refused, claiming there was no mosque closer by. An altercation ensued, leading to brickbats and injuries that snowballed into mutual violence for next two days. “We became prey to party infighting which turned communal. There was no substantial BJP-VHP presence but our supporters on both sides. Police did not protect the Ram rally when we were attacked. Nor did they turn up for hours when the riot spread the next day. The police faced mob ire when they tried to stop Hindu protest. It is no more a political fight against BJP. Babul Supriyo (the BJP MP from Asansol and Union minister) will win by a bigger margin next time if the government continues pro-Muslim bias”, a TMC cadre said, requesting anonymity. Other TMC men sitting close to a Hanuman temple echoed him. They denied any anti-Muslim provocative slogans during the Ram rally. Another Hindu TMC leader at Kalyanpur, who took the initiative to run a relief camp for affected Hindus aired similar sentiments. “As the riot broke out and snowballed, most of our local leaders from both communities were either swayed by communal sentiments or preferred not to queer their own pitch by going against it. Mainly Hindus were at the receiving end in the Muslim-dominated Rail Par. They are now angry with us”, he said. These words may sound like music to the ears of Supriyo and his party. The MP tried his best to stoke the fire on both the ground and digital media by harping on Hindu victimhood and Mamata’s ‘Muslim appeasement’. On the other hand, Muslim TMC leaders and supporters in Kasai Mahallah- Quereshi Mahallah as well as Gulzar Basti and Azad Basti, accused their Hindu counterparts of playing into the hands of BJP-VHP. According to them, anti-Muslim slogans from the Ram procession provoked the ‘hotheads’ among Muslim youth. “The situation fast slipped out of our control due to initial police inaction and party infighting’’, one of them said, speaking of the condition of anonymity. Another shared an audio clip of a song he claimed was played during the Ram rally. The Hindi song bears the signature tune of the Sangh Parivar as it threatens to ‘replace words with swords to speak for the Hindus henceforth’ so that ‘topiwalas bhi sar jhukake jai shri Ram bolega’ (that the cap-wearers will bow and hail him with Jai Sri Ram). The district BJP-VHP leaders denied the charge of instigation but with a spin: They claimed that they could not be blamed if some participants raised ‘unauthorised slogans or played such songs.’ “We had approved only our standard slogans against cow slaughter and highlighting our resolve to construct Ram temple in Ayodhya”, one of them said. Muslims, both TMC and Left supporters in neighboring Raniganj town, also complained of same type of provocation that had triggered riot there before Asansol. “That Hindu TMC men joined the VHP-BJP supporters in provocative Ram rallies angered many of our Muslim supporters. They are now accusing us of running with the hares while hunting with the hounds”, a Muslim TMC corporator in Asansol said. He admitted that conservative Muslim organisations had been gaining ground in the wake of ‘BJP-VHP belligerence and Mamata’s confusing politics’. Tablighi Jamat and Jamat-e-Islami are active in the area in organising religious congregations including ijtema. Their indoctrination focuses on strict monotheism and separate identity of Muslims, opposed to Hindu-Muslim composite beliefs manifested in many mazars and dargas around. 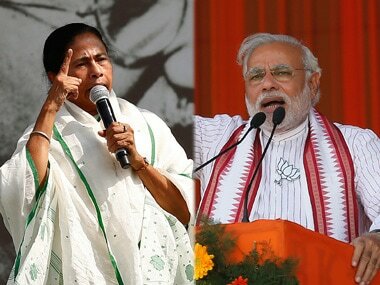 Rivalry among TMC satraps and their contradictory political compulsions also add to the ruling party’s ‘confusing’ politics. In Asansol, the power centres are divided between two camps led by Asansol north MLA and state minister Malay Ghatak and city mayor and Pandebeswar MLA Jiten Tiwari. Ghatak’s electors are mostly Muslims who dominate riot-hit Rail Par, while Hindi-speaking Tiwari, who aspires to be Mamata’s nominee against BJP, banks heavily on saffron support base among upcountry settlers. Accordingly, Tiwari has been courting Hindi-Hindu opinion makers and doled out Rs 5,000 to each of 146 sanctioned Ram Navami rallies from the civic fund. Local scribes witnessed him leading Ram rally with sword in hand last year while visiting Hindu-dominated areas with a saffron scarf around his neck. The Ghatak camp is not happy with Tiwari’s prospects and allegedly prevailed upon police to go easy in his constituency during the initial hours of riot while Tiwari reportedly pulled the strings at direction of the Opposition. 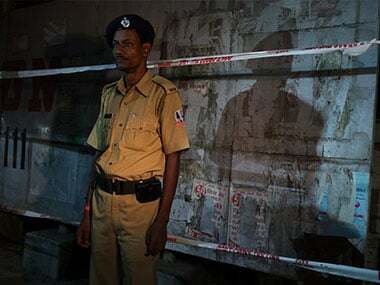 This resulted in the political and administrative paralysis that led to the deaths of at least four (from various faiths) in Raniganj and Asansol together. The chief minister, who herself began playing with fire, was angry with her minions and sent three senior IPS officers to control the damage as BJP clamored for central force. Clash of economic interests among ruling party apparatchiks appeared to have played a role in the riots. The infighting among dons like Joydeb Mondal, Haji Nanhe and Imtiaj Khan, who have switched side from the Left to TMC were also instrumental. One of the big bones of contention is the one kilometre long area of encroached government land that belong to the Indian Railways and Asansol-Durgapur Development Authority (ADDA). It’s not a mere coincidence that the epicenter of the riot was in and around the area. This is no one-off scenario as earlier visits to other riot-hit areas in Dhulagarh, Basirhat, and Nakasipara and elsewhere proved. As Sangh supporters continue to instigate violence through derogatory posts against Islam on social media and fomenting frenzy over local temple-mosque, Puja-Muharram disputes, many of Mamata’s Muslim minions have landed in the trap. They exceeded their brief on streets, which only boomeranged on TMC government and party. Muslim mavericks who are not strictly under her control and happy to flex their muscles as a bargaining chip have only added to the mess. The chief minister chided her two MLAs in Sakrail and Panchla in Howrah for paving road for the Sangh by pulling police in contra directions over the extension of route for a Milad-Un-Nabi rally through Hindu-dominated area and subsequent riot in December 2016. Baduria and Basirhat in north 24 parganas, witnessed prolonged violent agitation by Muslim youth following a rabid anti-Islam Facebook post in July. Administrative inaction despite attacks on police and huge disruption of public life only strengthened Hindu perceptions about the TMC being a ‘Muslim party’. It divided the party rank and file as a riot broke out in Basirhat, much to the pleasure of Sangh leaders. An exasperated Mamata obliquely scolded overzealous Muslim agitators for troubling her but subsequently ate her words. In Nadia’s Nakasipara last September, an intra-village dispute snowballed into a full-scale riot over temple-polluting. A Hindu panchayat head from TMC joined Hindu Jagaran Manch men in a march to police station and demanded action against neighbouring Muslims. In Dattaphukur, on the day of Holi, a flare-up over temple-polluting had the genesis in land disputes between two factions of local TMC which made room for BJP-VHP. As Bengal increasingly slides to deadly communal polarisation, there are many examples of such incidents. It suits the Sangh best and Mamata as well. It’s clear that she hopes to hold her fort by ensuring a bipolar fight with BJP in 2019. But Didi’s calculation may go horribly wrong if her own base gets divided.